Bord na Móna Growise John Innes No.2 compost is not suitable for ericaceous plants such as Rhododendrons, Azaleas and Camellias. For this group of plants you should use Bord na Móna Growise John Innes Ericaceous or Bord na Móna Growise Ericaceous Compost. on feed with a suitable fertiliser, following manufacturer’s instructions. Bord na Móna Growise John Innes No.2 compost contains balanced nutrients to ensure healthy growth and excellent moisture retention. It is ideal for potting on more established flowers and vegetables into pots and containers and also gives plants a boost when used during planting out. The fertiliser levels of Bord na Móna Growise John Innes No.2 have been optimised to suit established plants. Its formulation gives stability to pots, helps retain moisture and nutrients, thereby preventing nutrient loss due to rain. 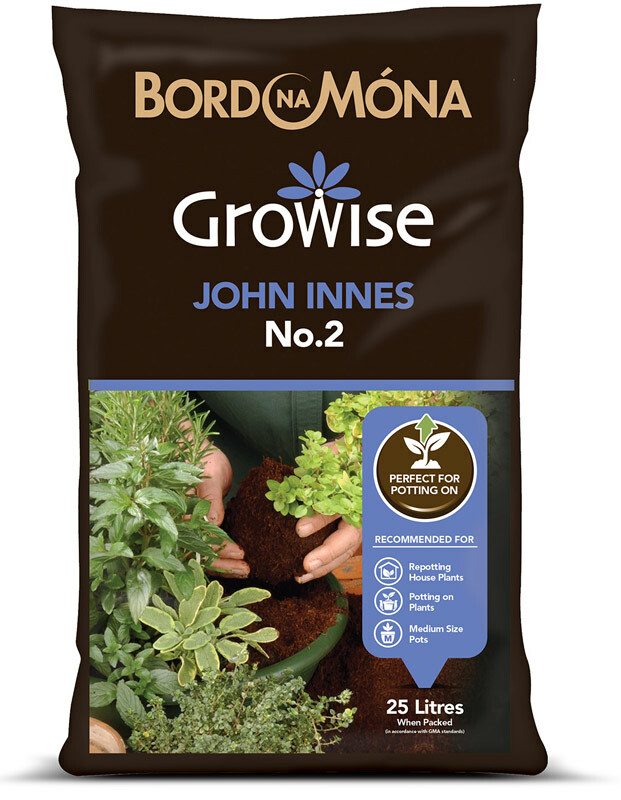 For best results during the next stage of plant growth (mature plants), use Bord na Móna Growise John Innes No.3. Bord na Móna Growise John Innes No.2 compost is carefully balanced to meet the nutritional needs at this growth stage. Partly fill the new, larger pot with Bord na Móna Growise John Innes No.2 compost. Remove the plant from the old pot. Place the plant in the new pot, making sure the plant is at the same level as it was in the original pot. Fill the pot with compost, firming lightly. Water thoroughly and leave for any excess water to drain. 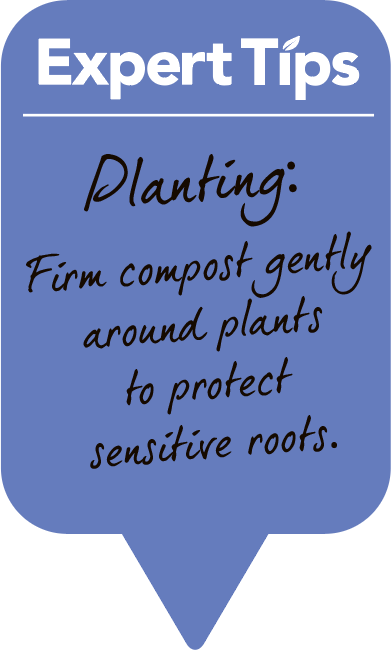 For planting out more established flowers, trees and shrubs. Dig a hole that is a little wider than the root ball of the plant to be planted, to allow room for roots to grow. Add a thick layer of Bord na Móna Growise John Innes No.2 compost all around the planting hole. Set the plant into the hole, making sure the plant is at the same depth as it was in the original pot, taking care not to bury the stem. Add a mixture of Bord na Móna Growise John Innes No.2 and soil (50:50) all around the root ball, and firm in gently. Water the plant well in its new position to help quick establishment.